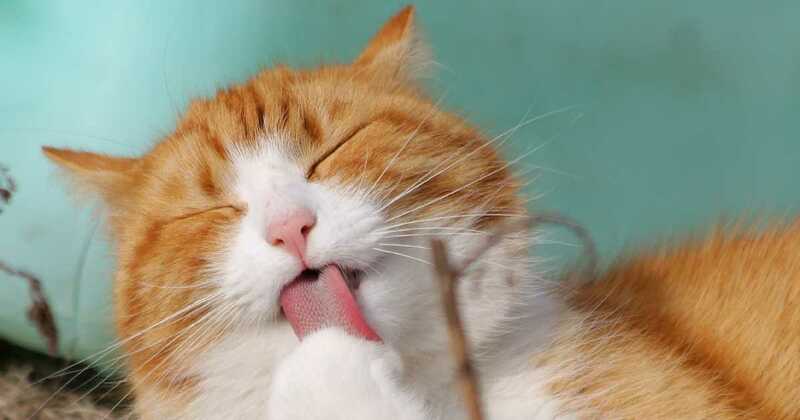 Let’s face it – there’s not one person who enjoys cleaning up after their pets whether outside or in the litter box. It’s just not a fun task. It’s smelly, disgusting, and potentially harmful for you! There are many ways it can be made easier through clumping litter, strong odor technology, or an easy-to-use scoop, but what if the box could do it itself? You’re in luck! 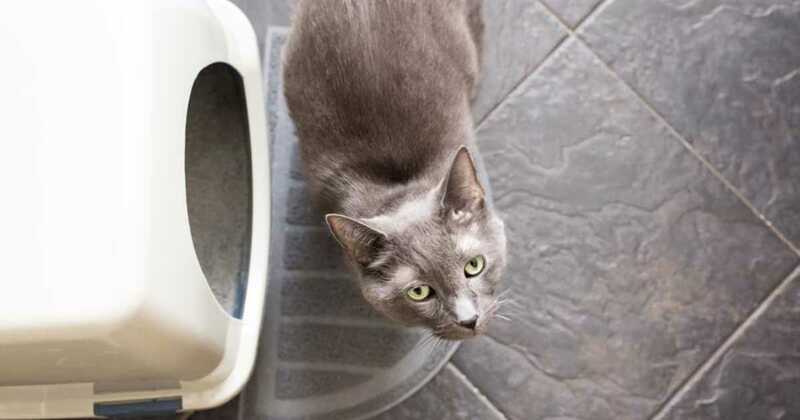 There are great options out there for self-cleaning litter boxes that will make your life a whole lot easier, healthier--and it will keep the house cleaner too! 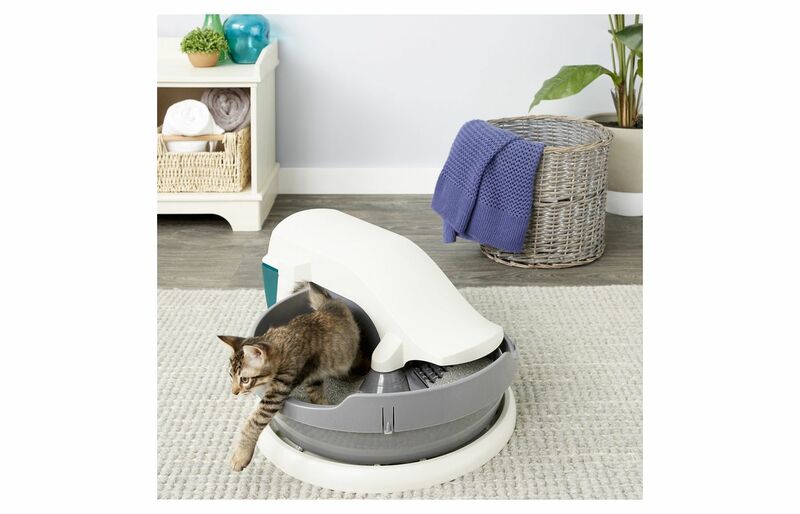 Now, this almost sounds too good to be true: a litter box that cleans itself with all the work totally hands off? They do exist, but it’s important to make sure you’re getting good quality for what you’re paying. There’s no point in spending a lot of money if the box isn’t long-lasting or has a weak design. We are here to help provide you with tips on how to get the most out of your purchase of an automatic cleaning litter box. Good for your health! Saves money on litter. There are many options and styles to choose from, but maybe you have no idea where to begin! Automatic litter boxes will do the work of cleaning the litter for you! They will usually deposit the waste into a bag or compartment, which you can remove later. But, there are still some that do everything--such as a self-flushing box. Also, with an automatic box, there is still the option of having a hood on the box or an open air style. Depending on your cat’s preference and their size, you still have those same options to choose from. 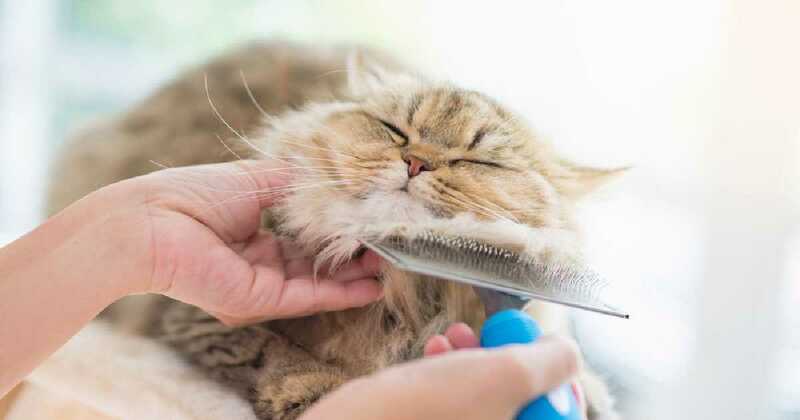 In terms of style, you can go with the old classic litter box look, or you can go for something a little more unique. There are a few options that look like a toilet, so that can be a fun addition to your house. Or, you can purchase ones that are more tray-like or more like a little house. It’s up to you! This is a good rule of thumb before you purchase anything. Automatic litter boxes will generally be a bit pricier than your average litter box, so it’s worth checking to see whether the product has a warranty in case something happens, and you need to replace it. But, also check to see how long the product is meant to last. Is it made of durable materials? Check out reviews online of the product to make sure you’re getting the right thing. 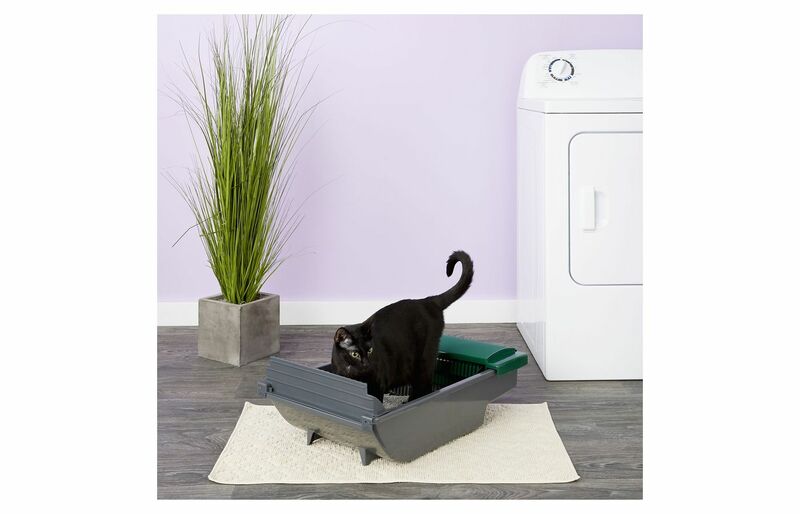 If the point of this type of litter box is to reduce the amount of time you’re working on it or thinking about it, then make your life easier by choosing a box that will last longer, and you won’t need to head back to the store a year later. How to remove old litter – do I need to clean it at all? Although it is possible to get a litter box that does absolutely everything, for the most part, yes, you will need to put forth a bit of effort to remove waste from these automatic litter boxes. But, usually, it’s only once a week, and depending on the box, it will be in an easy and accessible bag or tray where you don’t have to scoop or make contact with the litter at all. Again, it is a good idea to check the product to figure out how to clean it out. You want to choose one that isn’t an extra hassle to clean even if it’s less frequent. You want a product that is easy to figure out and quick to clean. Also be sure to check if you need bags, trays, or filters to go with the product since that will add to your purchase amount. Some of these self-cleaning litter boxes have an area with a bag or tray where the old litter is pushed into. In many of the boxes, the litter is raked through to clean out old waste, and waste is put into a compartment. That compartment is sealed off, so that you don’t get a lingering smell in the air. There is a sensor in the box which knows when the cat is inside or outside and when the cat has left waste to be cleaned up. It can be so simple, it’ll be easy to forget about! So, keep that in mind as well. Since there is a mechanism that will sift or rake through the litter, there will often need to be a certain kind of litter inside. Check the product label to figure out which type of litter is needed for that type of box. To keep the hassle on your end low, consider purchasing a self-cleaning box that can work with many types of litter. It will make your life easier as well as reduce costs. Using an automatic litter box is intended to cut down on litter use and expense, but if you can only purchase one type of expensive litter to go in the box, then it’s not really worth it. Also, don’t shrug this aside. The type of litter is very important when using these litter boxes. They will not be able to function properly if the right type of litter isn’t used. Think about your house and where you want the litter box to be before you purchase one of these litter boxes. Since it will be doing the work for you, it needs a power source. 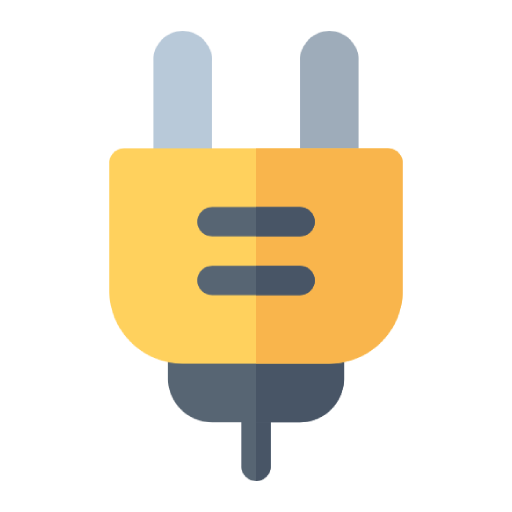 Batteries can be very convenient, but let’s say you go on a vacation, and the battery dies while you’re away. You could be coming home to a smelly house. Or, let’s say you have no place to put the litter box in your house where there is also an outlet. Electrical can be convenient, but not so much when you have to trail a cord along your floor where you could trip on it. For many of these products, there will be a noise involved during the cleaning process which may range from acceptable to annoying. It’s not really possible to test the sound before purchase, but check out the product review to see what it says about it. 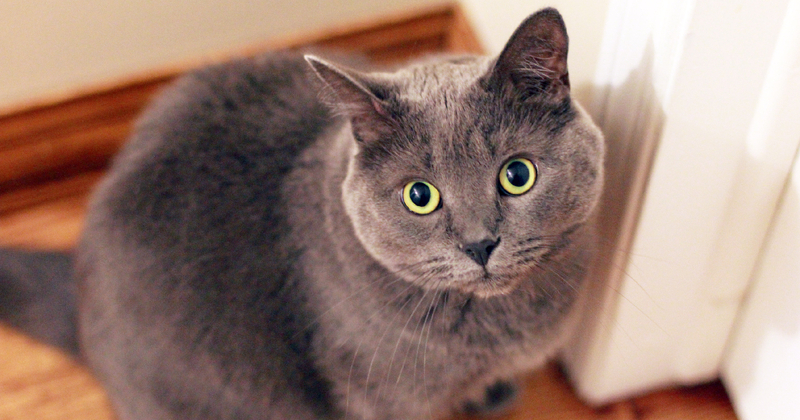 This may not bother you, but if your cat is extra skittish, then it could result in litter box avoidance. Then, your life will have gotten just a little grosser. So, think about your cat’s personality and what they would be ok with before making your purchase. Also, you may need to acclimate your cat to this new box. 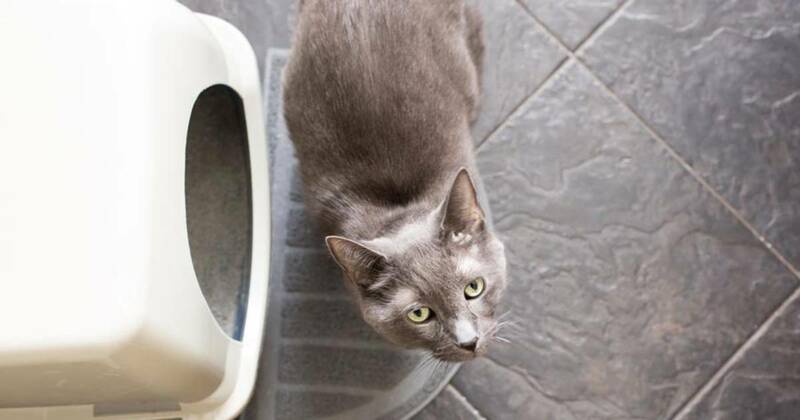 Cats can be finicky about their litter box, so realize that it may take a little time to get used to the new contraption, especially if they’re going from an old school style litter box. If you see that your cat is avoiding the box, then spray pheromones inside or add catnip to the litter to attract them. You can also take some waste from the old box and put it into the new box to make your cat feel comfortable in the new space. Another thing to think about is your cat’s safety when using the box. This is why you want to purchase high-quality self-cleaning boxes because there is a moving system inside, and you want it to operate properly. It should not be moving when your cat is inside the box where they could get caught in the mechanism. Be sure to thoroughly check out the box to make sure its safe for your cat’s use. Since it has a few extra parts, just check if there’s anything you need to be aware of that could be potentially dangerous for your cat. This is always an important consideration when purchasing a litter box. Litter boxes will range in effectiveness depending on the height and weight of your cat, age of your cat, and if you have multiple cats using one box. You need there to be enough space for the cat to move around comfortably inside and feel safe to go to the bathroom. While self-cleaning litter boxes are super convenient, they won’t be if they don’t actually fit your cat. Check the product to see what kind of cat it is effective for or if there are any warnings about large or small cats. Some boxes may not be good for kittens since there could be some hazards. Choose the right litter: some boxes won’t work with some kinds of litter. Check the product to make sure you find the right litter that goes with your new box! Acclimating your cat: the boxes are potentially noisy, so you may need some time to get your cat used to the new litter box. Your cat’s safety: choose a box that is safe for your cat and high quality enough that it won’t jam or get caught in the fur or feet of your furry friend! Size of cat or multiple cats: litter boxes are most effective when they are paired with the correct cat. If your cat is bigger, you need a bigger box. If your cat is too young, you may want to avoid certain self-cleaning litter-boxes. At last, the dream of not dealing with old litter can finally come true! 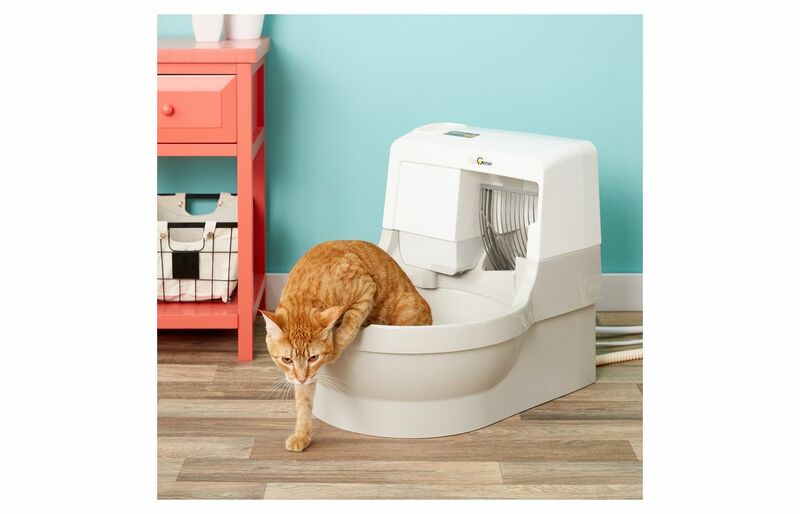 This beautiful automatic litter box will make you and your cat feel like you’ve made it. Its open air bowl will move one rotation per hour to clean the litter. There is no sound (yay for scaredy-cats! ), and there are no visible moving parts. This is perfect if you were worried about your curious cat getting caught in the mechanism. 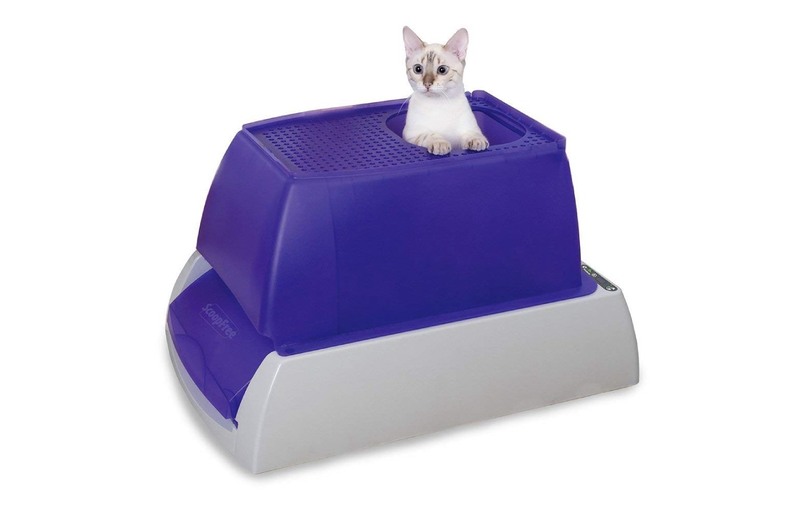 It operates with any litter that is clumping and scoopable will work in this automatic litter box. The waste will move along a conveyor belt and into a bag which can be removed when full. Any plastic shopping bag, like those from the store, will work beautifully with this litter box, making it cost-effective and easy! It operates with plug-in power, so make sure you have a convenient spot to plug it in and start living the automatic litter box life. Say goodbye to scooping and smell with this amazing automatic cat litter box. Due to its design and crystal litter, you won’t need to clear out the waste box for weeks! 20 minutes after your cat used the box, and rake goes through to move waste out into a separate compartment that will seal itself off to protect your house from odor. It needs to be paired with a special crystal litter which has 5 times the odor protection of regular litter. With your purchase comes a bag.. It also will greatly reduce the amount of litter bought and used! The company stands by its product and has put it through testing without any jamming, so you can relax knowing your cat is safe and your purchase is worthwhile.The product also comes with a litter tray which is removable to clear out the waste and disposable. You can also purchase the ultra automatic version of this product which comes with a hood for more privacy and protection. Can leave alone for weeks! Go hands-off with this smart scoop automatic cat litter box. It is open-air, so perhaps put in a more private area to give you cat their own space. With a quiet motor (for skittish cats!) this box has a rake that goes through the litter pulling out waste and putting it into a bag. This box comes with 6 waste bags, which is a 1 month-supply. The product works with any litter that clumps or litter crystals. In order to help further fight odor, there is a carbon filter which can be taken apart and removed for cleaning! You will save money on litter and disposing options since the bags are not as expensive as trays, and it has plug-in power. Wave your goodbyes to scooping now that this box is in town. Simply remove the bag and throw away once it is full. Go really “hands-off” with this entirely self-sufficient cat litter box! Just for a little added humor, it’s shaped like a toilet, and it actually flushes the old litter away! You don’t have to worry about a thing, except turning it on for the periods you want it to be worked. It has plug-in power, and you can set the frequency that it cleans. It uses washable litter granules, not clay litter, and needs special 120 Sanisolution cartridges to operate. With your purchase comes your first cartridge, and it’s recyclable! The materials that accompany your purchase will last 3 months if it’s just for one cat. For two cats, it would last for two months and so on. Do not use a clumping style litter with this product. 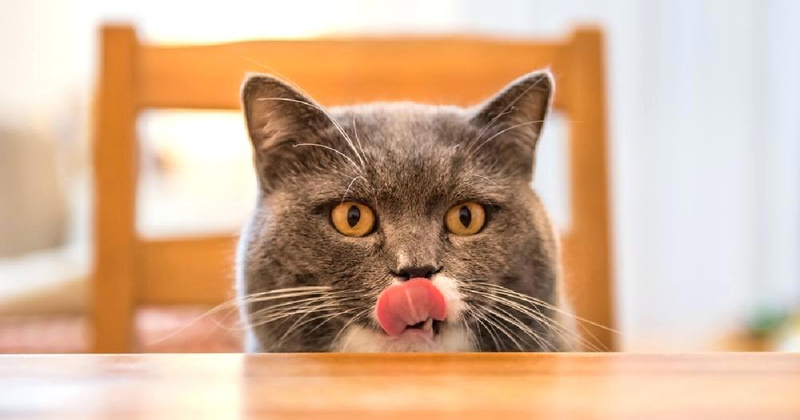 With each cleaning, the bowl is rinsed, scrubbed, and sanitized before your cat goes again. So, in order for the flushing system to work, it needs to be hooked up to cold water and a drainage pipe. You will never have to touch your cat’s waste again with this amazing product! 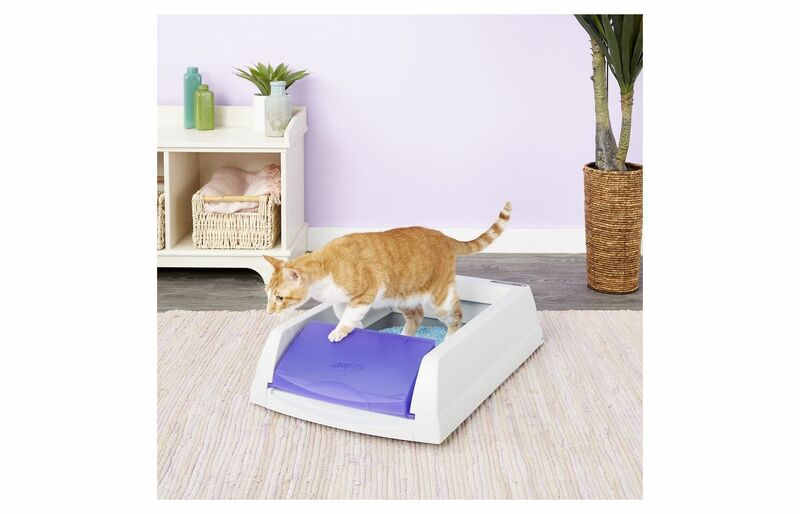 Breathe easy and walk easy with this top entry automatic litter box. It is similar to the other ScoopFree products but with a few added bonuses! Like the others, it has excellent odor control, so you don’t have to worry about that lingering smell your cat has been leaving behind. You won’t have to remove the waste for weeks! It uses a special crystal kind of litter which has much more powerful odor control and absorption than your average litter. You can set the rake to sweep through the litter at the interval you’d prefer. The disposable trays make it easy for you to get rid of the old waste (no scooping!) and move on with your day. With this special product, you also get a hood which provides more privacy as well as protection from litter scatter. And, this is a top entry box, so it provides even more privacy for your cat. There is a grated surface, so litter will come off the cat’s feet and not head to your floors. And, in case you’re concerned about your cat’s health, it comes with an in-built health counter to count the times your cat has used the litter box. This can alert you to any health issues, so that you can take your cat to the vet! Modernize your life with this amazing automatic litter robot. You will never have to worry about smell or scooping again with this product. It’s efficient because it only removes clumps and not unused litter, so you will save money on litter because it only removes the waste and not the unused litter,, and there will be less litter waste because there is some hooded protection. You won’t smell a thing because the waste is deposited into carbon filter bags conveniently for you! Litter is cleaned every time your cat leaves the box. It is great if you have multiple cats because there is a fresh bed of litter each time a cat enters the box. It has a spherical shape with a hole for front entry, so there is some privacy for your kitties to use the box. It also comes with an empty alert to notify you when it's time to remove the bags. You get a 90-day money back guarantee and an 18-month warranty with this product. We know you’ll just love it! It is your lucky day! There are actually litter boxes that take the hassle away without being entirely automatic. If you hate scooping up cat waste and love the hands-off idea, then there are a few options for you! There are cat litter boxes that you can use a lever to move the rake. It’s not automatic, but you didn’t have to get your hands dirty, and the litter still got clean anyway. It is the same concept in that the waste goes into a bag or separate compartment for you to remove later. But, you get to control when the litter gets cleaned, and both you and your cat will be happier. Simply check out the options online for these types of boxes. My cat is old and/or had some injuries in the past. Can they use this type of box? This depends. You need to assess your cat’s condition. How are they with using an old standard litter box. Can they jump up slightly or do they have trouble? Are they moving slower than they used to? 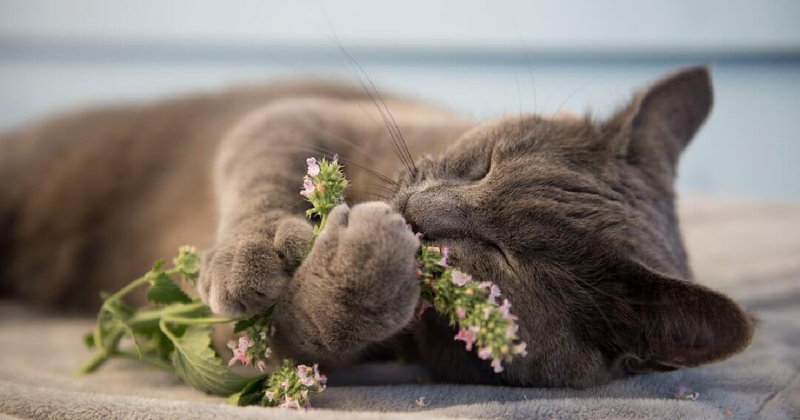 Some of these mechanisms can be slightly dangerous or harmful to older or injured cats (or even very young cats) simply because they can be bigger and have moving mechanisms inside. You don’t want to run the risk of your slower cat getting caught in the rake system or being unable to jump inside to use the box. 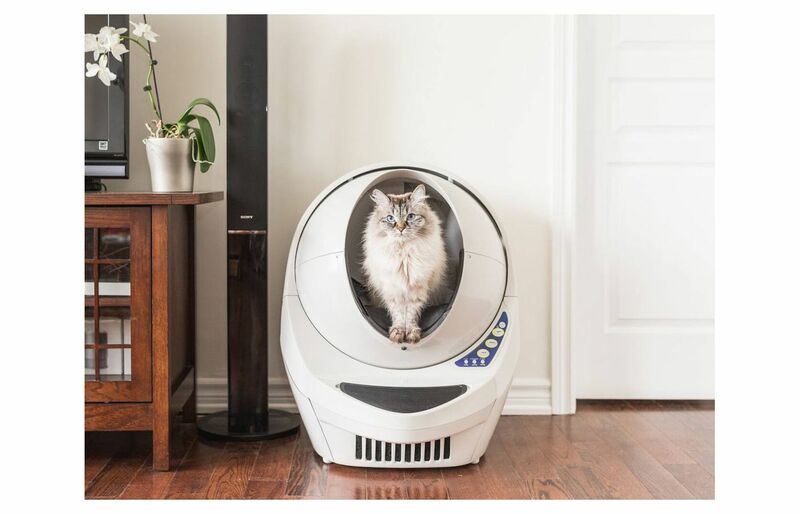 The litter robot, for example, has an entry hole that is a little higher than normal, so that one may be difficult for older cats. If your cat is very young, old, or injured, then consider a manual cleaning litter box such as one that uses a lever to rake the litter. That way, you still get the benefits of odor control and ease but not the potential danger of moving mechanisms.